Ever wondered where California's armpit was? Did you ever rack your brain trying to remember what city was the pinto bean capital of the world or home of the world’s largest pecan? Fear not! We can help you win those tough trivia rounds. America's concerned citizens and sarcastic city dwellers alike are to be thanked for their contributions to the following list of City Nicknames and Slogans. 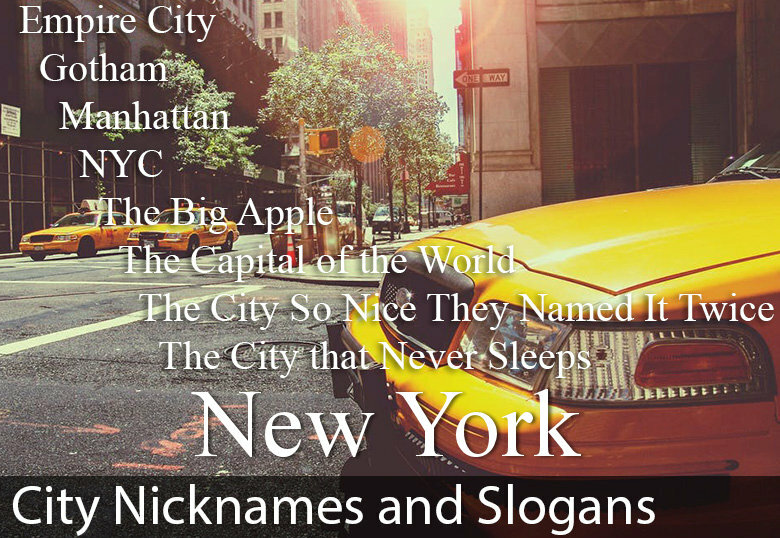 After months of scouring websites, forums and social networking sites we have compiled the web's most exhaustive list of US city slogans and nicknames and we are happy to share it with you in the hope that you will enjoy it as much as we have. Whether it's Bellingham, WA saying "Let us surprise you" (is that a good thing?) or Thomasville, NC's claim to fame as "Chair City" (ok...) we're sure you'll find the list both insightful and entertaining. As always, if we're missing anything please send us a note.